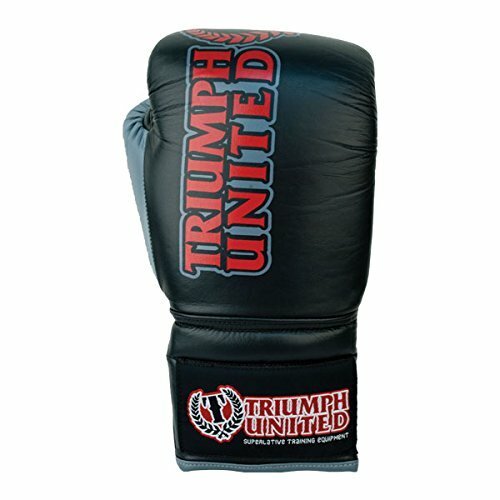 Triumph United is a brand that has interested me from the start. The Death Stars were one of those gloves that had such a simplistic yet attractive style. As soon as they were on sale I picked them up and found that they can compete with top priced boxing gloves. The Death Stars offer some of the best protection out there. You feel no shock no matter how hard you land a punch due to the firm padding. The wrist support is also surprisingly good. It’s surprising because the palm side padding is fiber filing and the velcro strap is half elastic. That’s a combination of two things that allow give. Even so though the support is very good. The main reason for this might be because of the firm padding on the back of the wrist. It keeps everything straight and once you lock your arm in with the strap, everything stays straight and stiff with little to no give. 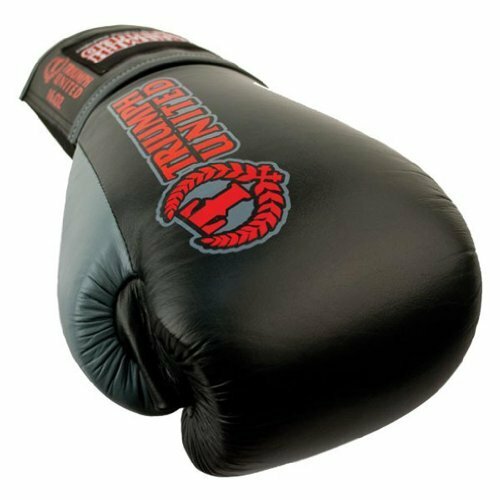 The padding is perfect for heavy bag work. Straight out of the bag though these things feel stiff as can be. They have a decent break in time though. Mine specifically took a little longer than usual because of the 18oz of padding. I would recommend using your hands to break them in just by pressing on the padding. Do this so the gloves are more comfortable to use, afterwards bag work and mitts are the best way to break them in further. Sparring is something I wouldn’t use these gloves in though. 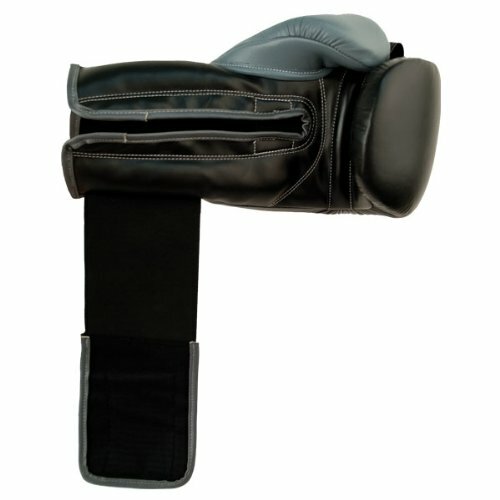 I personally don’t feel the padding is best for sparring and there are better options out there. Comfort is where the Death Stars struggle but only slightly. The liner is nice, it’s soft and inviting. The shape of the glove also isn’t awkward. 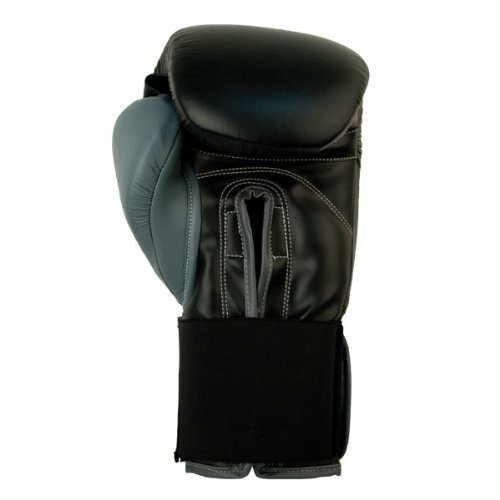 The gloves are straight and flat, easy to put on and off. The thumb is straight so it’s in an ideal position. That being said though it seems the thumb of my left glove ends a little shorter than my right glove. Side by side you notice that one thumb has more of a point on it while the other is rounded off. I have small hands so this isn’t an issue for me but this is also obviously a quality control issue. The only reasons these gloves aren’t perfectly comfortable are for starters, the padding. As stated earlier, it is best to break in by hand at first. Thanks to the wide hand compartment I didn’t have any issues trying these out but if the hand compartment was smaller it would have been a struggle putting them on because of the padding. Now that they’re broken in they’re definitely better but the break in time wasn’t as quick as the Death Adders. Also the thumb seam gets in the way sometimes, it’s a little uncomfortable but this again could just be an issue with the padding still being firm and pushing against my thumb. As I mentioned though, once fully broken in these gloves are great. Very comfortable and no real complaints. The grip bar is also the most ideal size and it’s rounded which allows to really wrap your fingers around it. At the end comfort is more of a personal preference type of thing and I have no glaring problems with the Death Stars comfort. The quality of the Death Stars is top notch considering the price you get them for. The leather is thick, stitching is clean, so far I don’t even have issues with the elastic. These are the kinds of gloves that I’ll be using for years. The logos are also very well done, no cutting corners really. Very well made gloves. Like I said before one thumb is a little shorter than the other but nothing drastic and nothing that would hurt performance. The Death Stars are slightly overweight at 19oz for the right glove and 19.3oz for the left. This further explains why they can rival my 20oz Powerlocks in size. If you’ve ever used the Everlast Powerlocks, these are that very same style but with better quality control. The Death Stars were practically the original Powerlocks. The main difference between these two are that the Powerlocks are more rounded and the padding of the Powerlocks is also easier to break in. The Death Stars are flat and long gloves. The velcros in particular are extra long due to the 4in velcro strap. By comparison these 18oz gloves are around the same size as my 20oz Powerlocks. The color option is also something worth mentioning. There aren’t a whole lot of black and grey leather gloves so that’s definitely something that caught my eye. One of the main problems I have with these gloves is the elastic closure. I find it pointless and a cheap way to keep cost and weight down. No matter what, elastic is not built to last and while it’s done a good job so far I’m pretty sure the elastic will not out last the padding or leather. Another issue I personally have is the fiber filling. While it does a good job I’m just not a fan, I prefer EVA. Fiber fillings take up more space and no matter how tightly packed it is, it still has given in it. The Death Stars in particular have very little fiber filling. The ends of the palm side padding are literally empty and the mid-section can be squeezed very easily. You can feel how empty it is just by applying moderate pressure. Which on one hand that’s terrible but on the other hand it goes to show how good the back of the hand padding is because that’s where most of the wrist support is coming from. The thumb attachment is also a minor problem. The Death Stars use the same kind of attachment as most Thai gloves where almost the entire thumb is connected to the fist instead of just a small strap. Because of the thick attachment sometimes you feel something hard poking or pinching your thumbs whenever you land a punch. It’s nothing painful just more obnoxious and unnecessarily avoidable. These gloves go for around $80 (at the time of this review) and for that price they are definitely well worth it. The Death Stars are capable of rivaling gloves that are almost twice as expensive such as the Powerlocks. The construction, protection, and padding are excellent for that price range. 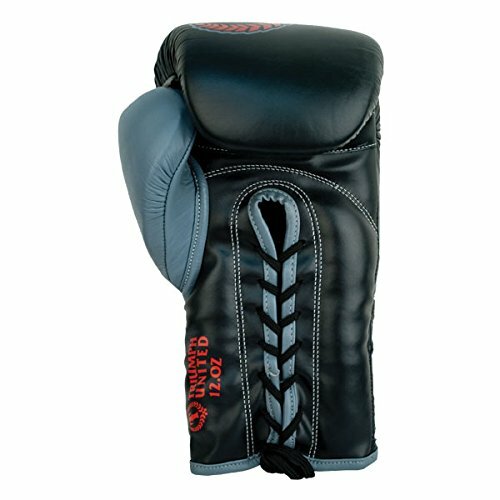 I’ve used gloves that were more expensive that have felt cheap and or broke. The Death Stars can also be found on sale quite often. 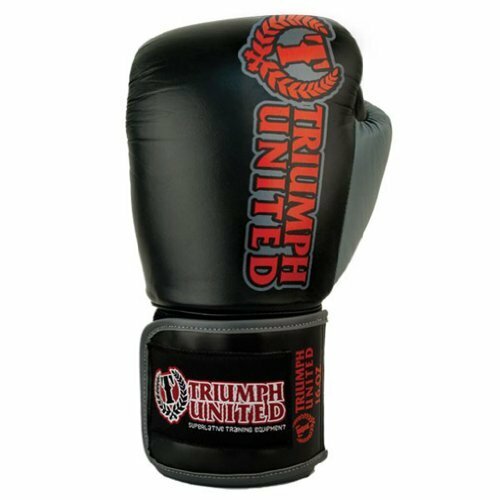 Triumph United has created a great glove at a very competitive price. The Death Stars are incredible and something I would recommend any beginner or veteran especially one who is on a budget. Lobo purchased this pair of Triumph United Death Star gloves himself for the full price. This did not influence the outcome of this review.